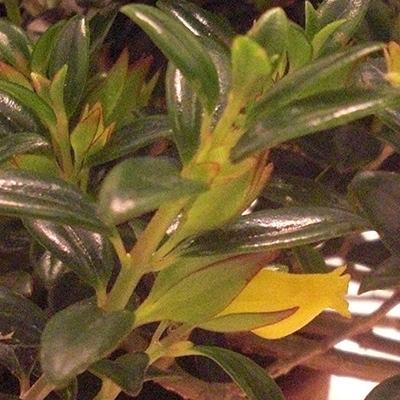 (N australis MP 1183) Cute little species with soft green leaves and darker maroon stems. Bears yellow blooms. Although my plant has not bloomed (maybe this year), the foliage along makes this plant worth growing. Tiny leaves cascade perfectly and I can only imagine how extraordinary the yellow flowers of this miniature will be.